Overall, it was a solid, consistent year for films and a nice way to kick-off a new decade of cinema. There was nothing earth-shattering or revolutionary, but there were plenty of reasons to be entertained in 2010…and you didn’t have to look far and wide as good story-telling was there in equal measure in both the art houses and cineplexes. From the horrors of family bonds in the Ozark mountains, to the dreams within dreams of a con man and the woman he loved, to the damaged psyche of a ballerina spinning out of control to reach perfection, to the grit and gumption of a little girl determined to avenge her father’s murder…story was paramount in 2010, though when it came to dreams…a little spectacle didn’t hurt either. On the heals of Kathryn Bigelow’s glass-shattering success with The Hurt Locker the year prior, 2010 was a great year for the female auteur. Debra Granik made the most audacious of breakthroughs with her whisper-quiet and chilling Winter’s Bone. Meanwhile, more seasoned independents like the oft-underrated Nicole Holofcener (Please Give), Lisa Cholodenko (The Kids are All Right) and Sofia Coppola (Somewhere – a film I was sadly not able to screen prior to this) returned to form, hit their stride, or got lost in their own daydreams to varying degrees of success. Elsewhere in the art houses, the Italians came to shore blending opera and cinema in styles both fascist (Vincere) and ultra-mod (I Am Love). The Aussies also took a stab at neo-noir (in the hella-good The Square) and the crime epic (in the much ballyhooed but disappointing Animal Kingdom). Meanwhile, a number of documentaries struck a chord (Joan Rivers: A Piece of Work, Waiting for Superman and Inside Job). However, none of these attempts provided a break-out hit. The cineplexes were no stranger to the usual lowest-common denominator fodder, and poor Alice in Wonderland came to represent everything that is wrong with Hollywood today: It had no valid reason for being remade, contained overblown second-rate CGI, was made in 3D so they could jack-up ticket prices, and freatured lazy direction and sleepwalking movie stars – and it grossed an obscene 1 billion dollars worldwide! Yet somehow I weathered the storm better than usual this year avoiding most of the wreckage. In February, Martin Scorsese explored the prison of one’s mind in SHUTTER ISLAND. In March, Americans finally got to see the stunning images in Marco Bellocchio’s Mussolini inspired fever dream, VINCERE. In June, Debra Granik put a spotlight on neo-noir with WINTER’S BONE. In July, audiences gasped waiting for a spinning top to fall at the end of INCEPTION. In December, audiences gasped waiting for a spinning ballerina to fall at the end of BLACK SWAN. Take your Golden Globes and shove ‘em. Sit on it, Oscar. Awarding Excellence and Idiocy in Film for the Year 2010. Best Picture: (TIE) Winter’s Bone and Inception – This may seem like a cop-out, but for me, these two films represent the best of what independent films can achieve and the best of what studio driven films can achieve, and as such, they deserve equal accolades. Most Overrated Film: The Girl with the Dragon Tattoo – strangely enough, David Fincher’s American remake is due by the end of 2011, which means we have a chance for a doppelgänger repeat in this category! 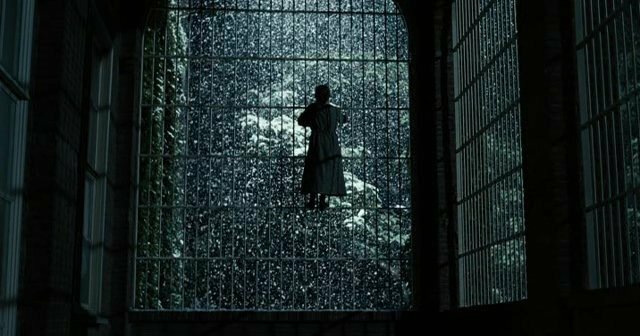 Movie Trend I Thoroughly Enjoyed: The Neo-Noir Renaissance – need I make this case any more? Movie Trend I (Mostly) Ignored: The Stieg Larsson Millenium Trilogy — I watched the first film, The Girl with the Dragon Tattoo, on DVD out of morbid curiosity. It confirmed my suspicion that this series was poorly made, convoluted, vile trash and I didn’t need to see anything more. Gee, I can’t wait for the American remakes. Tell us what your pick was for Best Film of 2010. If you’re a fellow film blogger with your own awards, top ten list or 2010 wrap-up share your links in the comment form. This entry was posted in Art-house Cinema, Arts and Entertainment, Awards, Book to Film Adaptations, Inspiration, Movie Reviews, Movies, Pop Culture, Psychology, The Davies, The Lists and tagged Alternative to the Golden Globes, Alternative to the Oscars, Beethoven, Beethoven's 7th Symphony, Best Picture, Black Swan, Cairo Time, Carlos Kleiber, Classical Music, Critic's Awards, D. H. Schleicher, Film Critics, Inception, Shutter Island, The Academy Awards, The Best Films of 2010, The Ghost Writer, The Golden Globes, The King's Speech, The Neo-Noir Renaissance, The Schleicher Spin, The Social Network, The Worst Films of 2010, The Year in Review, The Year's Best Films, Top Ten List, True Grit, Vincere, Winter's Bone, Worst Picture. Your top 10 list is pretty tight. But somehow, I not too sure if The Social Network deserves to be in the top 10, for me personally TSN did more to encourage new IT Czars than bring forth the idea that greed and one-upmanship comes with a ‘price’. The Biggest Disappointment for me was TSN. Worst picture: hmmmm…. my vote’s for the Twilight series. And how about including a Best Action/Slick Film category? For instance, I found Salt a pretty formulaic yet slick-paced action packed explosive package. Oh! And you also left out Best Science Fiction this year. I wouldn’t waste a fantastic movie like Inception into an exclusive slot like “Science Fiction”; it covers way too much ground to be slotted into a specific category. My vote’s for Splice too. The ending was a bit bizarre and made me laugh more than making me curious. Yet overall it was a great watch. Unfortunately, I have not watched any Of these films *hold head down in shame*…Therefore, I just have to take a “back seat” on commenting and wait and see if the Academy Of Arts and Motion Picture and Science agree with your choices too! In the meantime, I read this post…The Neo-Noir Renaissance and all I can say is…What a very interesting analysis or look at the evolution Of Film noir to current day films that are the “progeny” Of Film noir…Known as…Neo-Noir. will assist me in compiling a top ten film list. The little girl avenging her father most reverberated for me. Vengence is a classic trope in literature and film. Winter’s Bone took the trope and made a simple classic powerful film. Hi David. I’ve been meaning to comment here, and your visit to my site finally got me moving. Nice list. It’s always tough to find total agreement on things like this, but our respective top 10 lists share four films. Not a bad percentage. I will defend “The Social Network,” as I think the script was phenomenal and the execution first rate. I don’t think the film’s point was to show that greed comes with a price. Thus I don’t think it’s fair to criticize it for not being that. Certainly, that message is worthy, but I’ve always thought you need to critique a work based on its ambitions and not what you want it to be. Looking at the way Facebook turned out — and at corporate America in general — there’s very little to indicate that greed actually does come with a price. And I think films that offer a realistic depiction of the world are just as valuable as those that sermonize. Just my two cents. Happy New Year! Wow, I knew you liked “Winter’s Bone,” but I’m not sure I knew how much. The best picture of the year? Really? I’m sure you know it will be a strong contender for my most overrated, but I’m still shocked it’s in your top spot. I love Geoffrey Rush and Amy Adams in the supporting categories, two who will probably be overlooked in the long run (in favor of Christian Bale and I’m not sure who for the actress). This is a wonderful, passionate assessment of the year’s most notable achievements, ushered in by that lovely reference to and Kleiber you tube to Betthoven’s endlessly reference second movement to his towering Seventh. As it is, you may make some revisions in the coming weeks, when you attend to BLUE VALENTINE, ANOTHER YEAR and RABBIT HOLE, three films that made my own Top Ten list. And even though I lament the inability to include WINTER’S BONE and VINCERE on my own list, I have championed both all year round. I’d even go as far as to say that Ms. Mezzogiorno is the year’s top actress. Among actors, I’d so with Firth and Edgar Ramirez (CARLOS), but who can argue with Di Caprio? 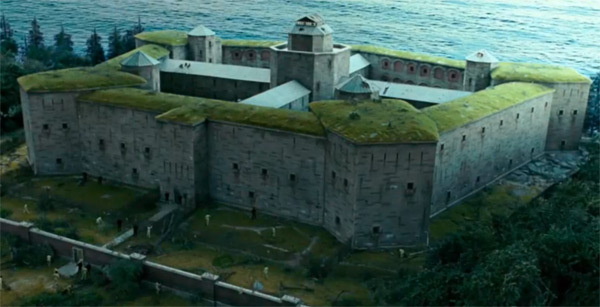 Similarly, SHUTTER ISLAND, which made my own runner-up lot, is one of the season’s most entertaining films. I may not have been a fan of BLACK SWAN, but it’s regard by so many speaks volumes. As always, your various awards here allow for a comprehensive overview and ever-engaging read. David, I love WINTER’S BONE and VINCERE. But it’s always a crowded field for ten spots. If it is possible David, could you drop me an e mail at TheFountain26@aol.com. I don’t know how, but I somehow have lost your e mail address. Ugh! Good list! About half on your list would make my list with a couple making the HM list. One (Vincere) I have not seen. Inception gets a bad rap for being too Hollywood and maybe there is a backlash against Nolan (understandably), but it is a technically well done film. Not as ‘deep’ as one is led to believe but compare to so many mindless action films we are forced to endure it is very good. My top film would probably be the documentary “Inside Job.” Others for sure on the list would be Shutter Island, The King’s Speech, Winter’s Bone, The Ghost Writer, and The Social Network. Alice in Wonderland was bad but my pick for the worst film of the year is Grown Ups! Oh the horror, the horror. Interesting list, David. I plan to use it for my DVD viewing this year! Sorry to hear your opinion about “The Girl With the Dragon Tattoo.” I’ve read all the books and have seen all the movies, all with a critical eye, and while they are not perfect (what is? ), like “Inception” was not perfect, they offer insight into a side of humanity that people keep wanting to sweep under the rug and call trash. Read the novels, David! Keep an open mind…..
As for the madness of Carlos Kleiber, his directing of music is not the same as the directing done by Scorcese, et.al. Conductors direct musicians and conduct music. A film director then would need to direct actors and conduct scripts/words(?). I get what you were reaching for, though. As for Beethoven having a formulaic bar of music anywhere in his output, much less in the 7th’s second movement which is considered by musicians to be perfect, I vigorously and adamantly disagree. Before he composed the 7th’s second movement, nobody had heard the likes of that music before…. (smile) Beethoven was a pioneer, breaking all the rules of music composition that had stood firmly before he came along. Cinda, thanks for stopping by as always! I recall that you were a fan of the Larsson books, and I have heard nothing but good things about them. You make a good point about keeping an open mind when comparing books to their film adaptations. If I were to read them, I would judge them separately from the film adaptations. My opinion was purely based on the first film. With it, I saw enough, and care to see no more of the film series…but that doesn’t mean I am dismissing the novels as well. I haven’t seen the same films, but REALLY want to. I really enjoyed reading this list and am glad that you feel the way you do about Girl with the Dragon Tattoo and Alice and Wonderland! You are right in that GWTDT has been overrated. I am curious as to what Fincher and Rooney Mara have in store for us. I had a very similar list on my site and saw some similar taste between you and I.
UPDATE FOR READERS: Having now seen Alejandro Gonzalez Inarritu’s Biutiful, I need to amend the list, as it was a film so powerful only Inception and Winter’s Bone topped it. That placement would knock The Social Network out of my Top Ten and into the group of Honorable Mentions. I would also like to add Jessica Hausner’s film, Lourdes, to my Honorable Mentions. wow! an audible! I love it! I can’t wait to check out Biutiful now!